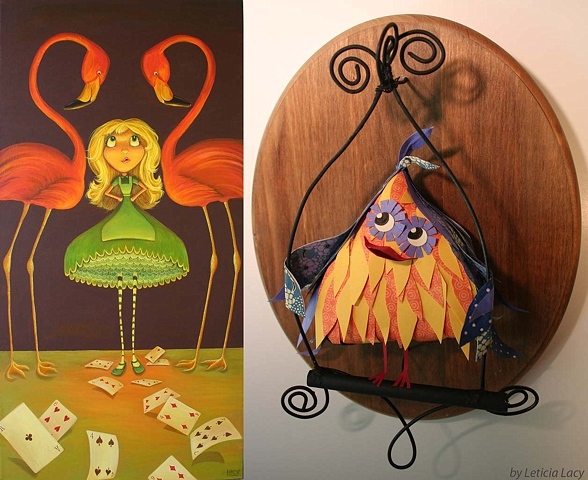 Born in Los Angeles CA, Leticia Lacy has been a professional working in animation for over 15 years. After receiving her BFA at UCSB with a focus on painting, she landed her first job on the South Park feature film. She went on to work for animation legends John Kricfalusi at Spumco and Genndy Tartakovsky at Cartoon Network and Craig McCracken at Disney. Sophisticated color design and painting backgrounds became her focus in animation. Over the years, she has lent her talents to Cartoon Network’s ‘Samurai Jack,’ ‘Star Wars Clone Wars,’ and ‘Power Puff Girls’ and Disney's 'Tron.' At Nickelodeon, she was an art supervisor on the series ‘Ni Hao Kai Lan.' She was the production designer overseeing color and painting on Disney's 'Wander Over Yonder.' After that, she art directed the first season of Disney's 'Billy Dilly's Subterranean Summer' airing June of 2017. Currently, she is art directing 'Lucky,' a CG animated Nickelodeon movie for tv to air in 2018. In addition to her animation work, Leticia creates paintings and sculptures and has shown in various art galleries in Los Angeles, Las Vegas, and Palm Springs. When not making art, she enjoys reading stacks of books to her kids, doing yoga, and taking trips in her little vintage camper.